Positive pressure clean room partitioned into 2 ISO classes (ISO class 7 and ISO class 5) and adjacent High Pressure Rinsing (HPR) room at ISO class 5. 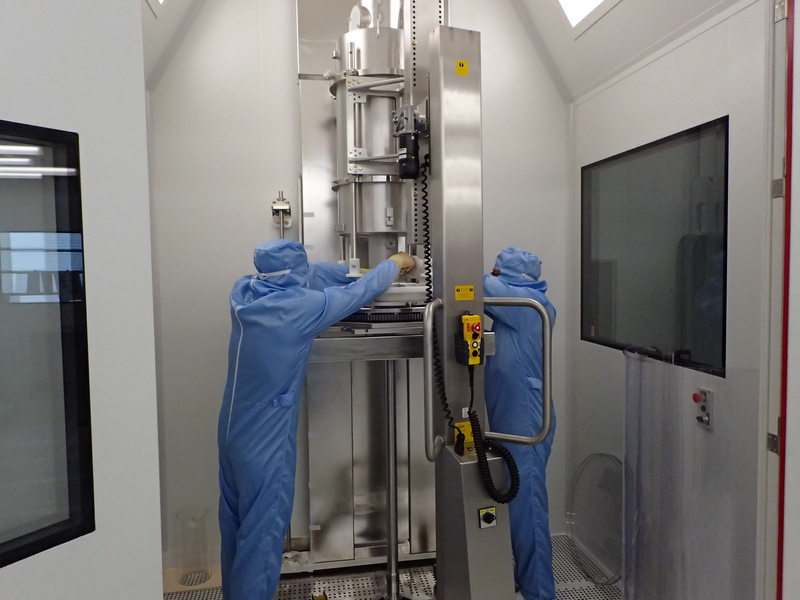 • Total surface area of the clean room: a = 90 m2 (of which a = 52 m2 at ISO class 5 with total laminar flow). • Length of the ISO5 room: l = 8.45 m.
- h = 3.5 m for the high pressure rinsing room. - c = 1300 kg/m2 for the access area to the clean room. 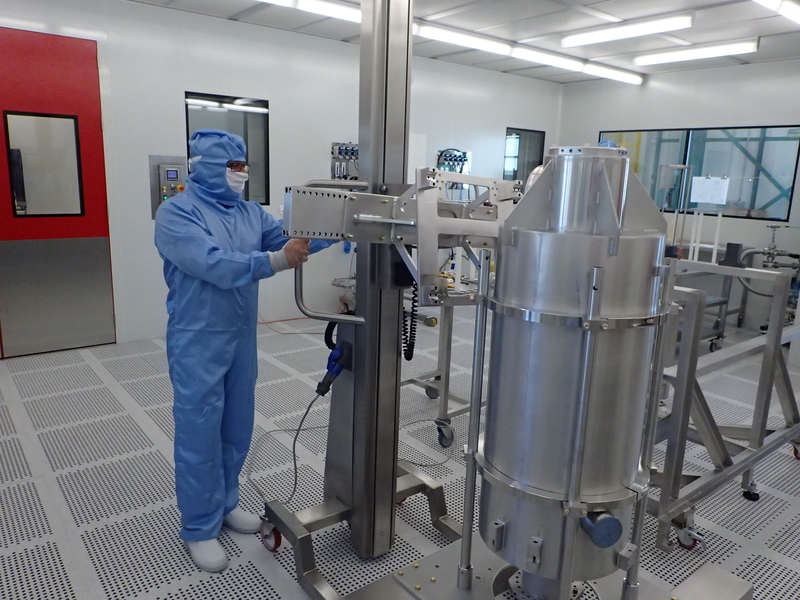 The ISO7 compartment is used for preparing the pieces before their entrance in ISO5 clean room. It is possible to perform rinsing with pure water inside the ISO7 compartment. 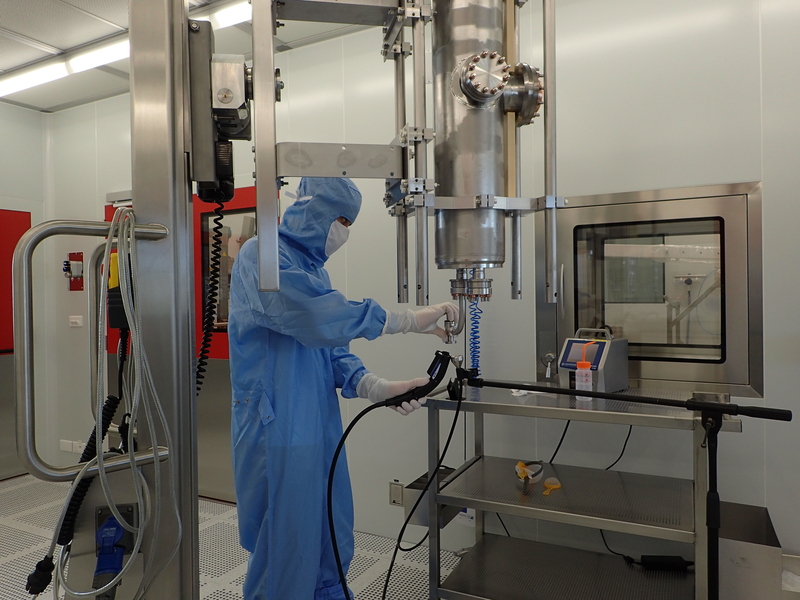 The clean room is equipped with pumping groups, Final Filter Units and a high pressure (P = 100 bar) rinsing room with ultra-filtered pure water. Assembly of cavities in the framework of the IFMIF, ESS and SARAF projects. 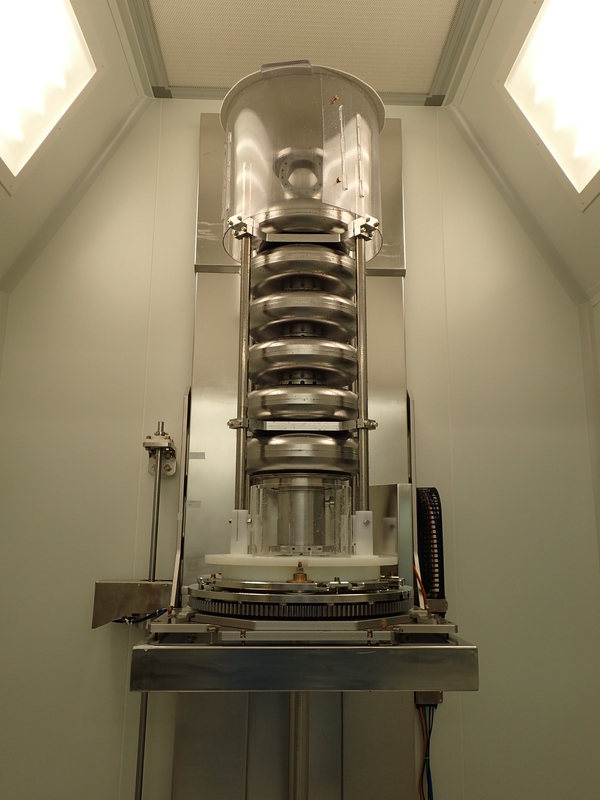 • Assembly of elements surrounding the cavity "cryostating" (insulation, magnetic shielding...) outside the clean room.